From simple eateries to upscale establishments that will transport you to India with atmosphere and an extensive menu, there's no shortage of fantastic Indian cuisine in Denver. While the choices in the city are plentiful, there are a few that stand out from the rest with their fantastic use of spices and mastery of all things hearty and spicy. So, whether you're a curry and roti-loving maniac or a newbie to Indian cuisine, there's bound to be a restaurant in the Mile-High City that will suit your preferences. Don't let the compact quarters at this local favorite deter you from a visit. Biju's Little Curry Shop isn't shy about letting everyone know exactly what they're good at – South Indian-style curry. Situated in the River North Art District, a visit to this curry shop's brightly decorated space isn't just a delight for the eyes, it's a treat for the nose and mouth as well. Biju's Little Curry Shop offers all kinds of options and even caters to those who follow a vegan or vegetarian diet. The success in their curries lies in the fact that each batch is made from scratch using only the freshest and healthiest ingredients while sticking as close to the recipes of South India as possible. To get the best experience at Biju's, make sure to try their vegetarian combo, coconut curry chicken, and their extra hot vindaloo chicken bowl. 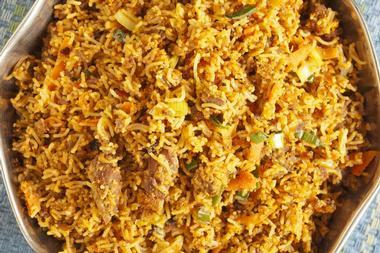 If you're on the hunt for a tried and tested authentic Hyderabad-Indian restaurant, look no further than Biryani Pot. Yes, we know, chain restaurants tend to get a bad rep, but think about it this way, how else would it have evolved into a chain if the food weren't good in the first place? 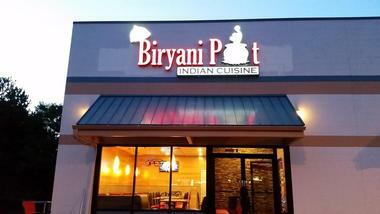 Biryani Pot sticks to its Hyderabadi roots by offering a huge menu filled with the special cuisine. 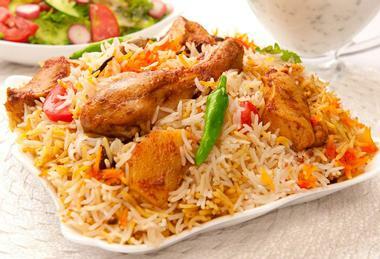 One thing that you definitely shouldn't miss out on are the biryani specials that this area of India is so well known for. Taste authentic, freshly made bestsellers like the Hyderabadi dum biryani, the chicken dum biryani or the goat dum biryani. Not a meat eater? No problem! They've got a vegetable dum biryani for veggie-loving guests too. There's no denying that Indian cuisine is incredibly complex. From dozens of spices to hundreds of recipes, it's easy for Indian food to go from delicious to disastrous. Knowing this, one of the most important requirements to create spectacular Indian food is definitely passion. Lucky for us, this is something that the Bombay Clay Oven has in spades. A family-run restaurant, the Bombay Clay Oven pays great attention to the quality of ingredients and spices that they use in their cooking. They've also developed a culture of excellence over the years to ensure that each dish leaving their kitchen is as perfect as possible. Each guest can look forward to perusing an eclectic menu and savoring multi-layered dishes at the Bombay Clay Oven. Nobody takes hospitality more seriously than India Oven. Knowing full well that the hospitality of Indians is legendary, India Oven has made it their mission to bring this incredibly welcoming atmosphere to Denver. They do this by making their restaurant as comfortable and relaxing as they possibly can, but more so by making sure that their cuisine is as rich and diverse as the ancient civilization it represents. Guests at India Oven can look forward to spectacular tastes, colors, textures, and appearances in every plate no matter what region the dish is coming from. Whatever the occasion, there's always a reason to feast and be merry at India Oven. A low-key joint armed with a bar and a lunch buffet, the Mint Indian Restaurant and Lounge is one of the best places to eat in Denver's Central Business District. Serving a large mix of Northern and Southern Indian dishes, Mint's story began 17 years ago when chef and owner Guru Chran Hansda dreamt of creating an exceptional dining experience for the locals of Denver. The result is a menu that reflects the 5,000-year culinary history of India along with its intermingling communities and cooking styles. Sink your teeth into some of Mint's chef specials, like the chargrilled salmon with saffron mustard or Rhum Chop with yogurt and mint coulee. Consistently ranked as one of Denver's top Indian restaurants and known for being the first restaurant of its kind in the Mile-High City, the simply yet boldly named India's Restaurant boasts over 22 years of experience. It's through their many years of culinary excellence that India's Restaurant is able to serve multi-cultural food that represents the country's many subcontinent dishes, such as tandoori, curries, and even vegetarian dishes. The secret to their delicious food? Authenticity in ingredients. India's Restaurant only uses spices and recipes that have stood the test of time and passed down from generation to generation. They even have a special selection for children that kiddos are bound to fall in love with. Earning top reviews from the people who know best, their customers, Little India Restaurant and Bar is a highly popular local eatery serving up traditional Indian dishes that make even native Indians feel like they're home. In fact, Little India has been voted the best Indian lunch buffet restaurant in Denver for 16 years straight by voracious eaters. If that doesn't speak about the genuineness and top-notch quality of the food they have to offer, we don't know what is. There's something for every kind of eater at this restaurant, like fresh and healthy food for conscious eaters or luxurious dishes for guests who simply want to indulge, as well as vegetarian options, cocktails, and goodies from their food truck. 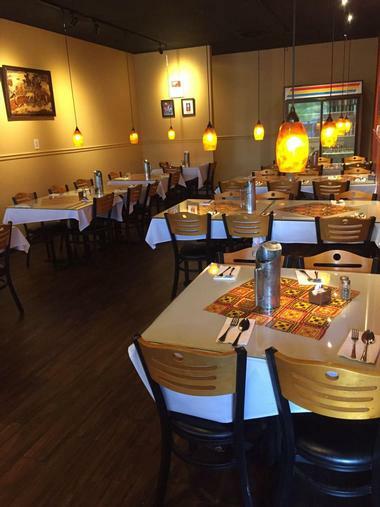 With quality food and high standards amongst their wait and cook staff, Taste of India is a beloved local Indian restaurant that really captures that layered flavors of the cuisine. The restaurant goes to great lengths to ensure that their food tastes as authentic as possible, such as importing their rice from India and preparing their tandoori dishes and Indian breads in a traditional clay tandoori oven. The restaurant offers tons of vegetarian and seafood options, all of which are lovingly prepared with homemade sauces and genuine Indian spices. 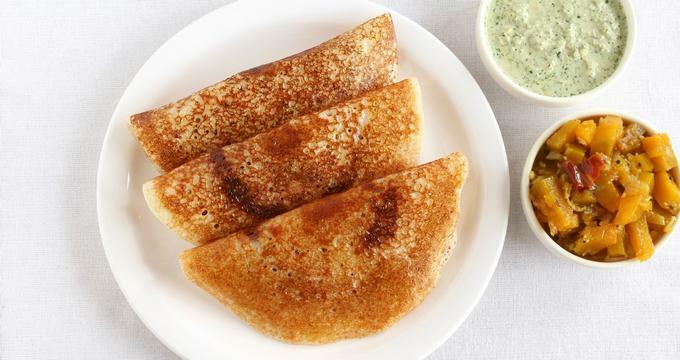 Try out their combination biryani, vegetable pakoras, or lamb curry for starters. 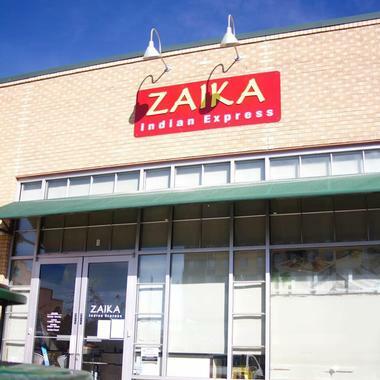 Serving each of their dishes with absolute passion, Zaika Indian Express has earned a fantastic reputation with high ratings across popular customer-based review sites. Although there's no doubt that Zaika knows how to cook delicious Indian food, what they do best is cater to locals who live fast-paced lives. Ultimately, Zaika proves that delicious and meticulously prepared food can still be enjoyed in fast food type setting. 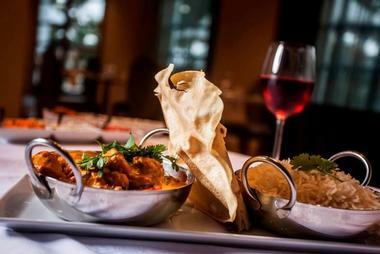 Some of Zaika's featured and must-try dishes include the kofta keshari, lamb vindaloo, and chicken lajjatdar. Let's not forget crowd favorites like the lamb biryani and seafood Kerala curry. On the hunt for outstanding vegetarian Indian cuisine? Look no further than Masalaa, the first and only Indian restaurant to receive the Smart Meal Seal in Colorado. Apart from having mouthwatering offerings, Masalaa is the perfect place to go when you want to feel like you're indulging in luxurious foods while actually eating a very healthy meal. This is because Masalaa adheres to Colorado's Smart Meal guidelines, such as having no more than 15% calories from saturated fat and a minimum of 2 servings of beans, whole grains, fruits, or vegetables. If you want to experience as much of Masalaa's offerings in a single meal as you can, go for the Royal Thali or the Mysore Thali, which feature small servings of dishes like their masala dosa, sambar, papad, and raita. A family owned and run restaurant, the Namaste Indian Restaurant prides itself on understanding the tastes and preferences of the local community and using that to create their eclectic menu. Featuring a smorgasbord of Indian dishes, Namaste serves over 200 dishes at their restaurant, many of which are offered in their famous lunch buffets. Guests to Namaste can experience all kinds of flavors with the chef specializing in authentic Indian, Nepalese, and Tibetan cuisine. Let's not forget that the Namaste Indian Restaurant's buffet has won a Gold Medal award. You really can't go wrong when you pay a visit to this local favorite joint! If you're in the mood for some Indian food that comes with a pleasant dining experience, the Star of India Restaurant simply can't be beat. 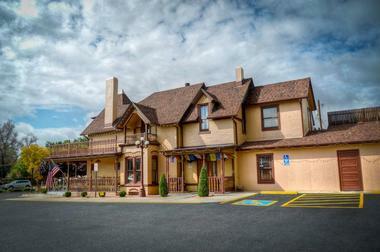 Their restaurant exudes hospitality and a casual atmosphere that will make you feel like you're at home. Meanwhile, their menu features a huge selection of vegetarian and non-vegetarian dishes, incredible appetizers and unforgettable desserts. We'd be remiss not to mention their huge selection of drinks, which is packed with all kinds of beers, wines, and mixed drinks to enjoy with your Indian feast. As a family owned and run restaurant, Gar Gill and his wife Janeth make it their mission to ensure that your visit to Star of India is absolutely spectacular. Whether you're looking for a one-of-a-kind dining experience or some takeout that'll satisfy your spice cravings, Taz Indian Restaurant is guaranteed to deliver. 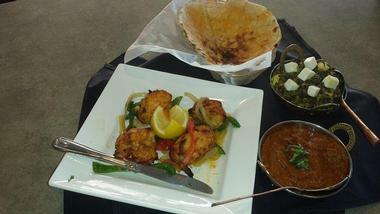 A cornerstone in the Aurora community, Taz is known for its tasty Indian dishes, great service, and welcoming staff. At Taz Indian Restaurant, guests can also look forward to modern interpretations on traditional Indian dishes as well as the classics of Indian cuisine. It's also worth noting that Taz offers Nepali specialty dishes such as vegetarian chaumin and chicken momo. 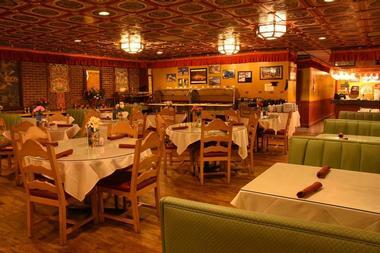 Bestsellers and chef-recommended offerings at Taz include the lamb jalfrazie, the butter chicken (an all-time favorite! ), and the spicy but irresistible paneer chilli. Planning a visit to Yak and Yeti? Well, you better be coming hungry if you want to try as much of the spectacular meals that this restaurant and brewpub has to offer. As a full-service restaurant and brewery, Yak and Yeti promises rich, diverse, and perfectly prepared Indian cuisine alongside expertly hand-crafted and award-winning beers. Every dish and beer is made on premises by dedicated and passionate staff, while the owners put tons of effort into making sure that the atmosphere is comfortable and welcoming. 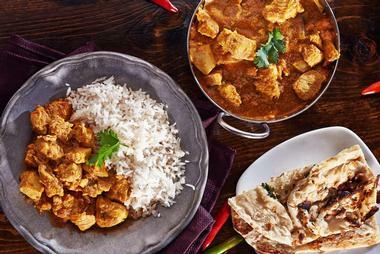 When choosing what to eat, there's no way you can go wrong with the chicken tikka masala and the biryani. Don't forget to pair your meal with one of the craft Yak and Yeti beers or mixed drinks for a full-on party for your taste buds.